I find the tables have turned since my childhood. In 4th grade (1988) I was the student council representative for my class and our corresponding 2nd grade “buddy” class at Meadowbrook Elementary School in Norfolk, VA. Our school only offered students plain, white milk. As a 4th grader my thought was, “How boring?!?! ?” And I got the student council to make the change within our school to offer chocolate milk as an option every other Friday; as I think back I don’t know if any child took the white milk on our “treated” Fridays. Now as a parent looking into the school districts, nationally and locally, I wonder why they just don’t offer only nutritious, naturally white, nothing-else-added milk. The breaking news on June 16, on MSN and in my email inbox, was that Jamie Oliver and his Food Revolution Team (I watch the show!) had finally helped parents and health advocates change the milk distribution of California’s largest school district and the USA’s 2nd largest school district, the Los Angeles Unified School District (LAUSD), starting July 1, 2011. I hope my school district is soon to follow in the movement. My oldest (4YO) will not be able to say “no” to chocolate milk when he’s in elementary school as a Kindergartener. He is a skinny little thing that doesn’t have to work at keeping a healthy looking body … yet. My oldest can eat whatever he wants and maintain his body type, but that can’t be mistaken for healthy. I want to create life-long healthy habits for him to grow and live by for his lifetime. I’m trying to teach him about the differences in foods — strawberry fruit snacks v. strawberries, sweet potatoes v. potato chips, processed cereals v. oatmeal, milk v. “candy” milk. I can use some help and I believe my local school districts should help my son learn these food lessons by only offering appropriate, whole food options for him to choose from and by continuing this learning in their classrooms. Jamie Oliver has not only been working on changing the LAUSD’s milk, but food selections offered to children too. For instance, instead of offering beef quality that is as cheap and low-grade as dog food or less, Jamie proposes offering our nation’s growing children natural, high quality grade, natural beef through the school system. 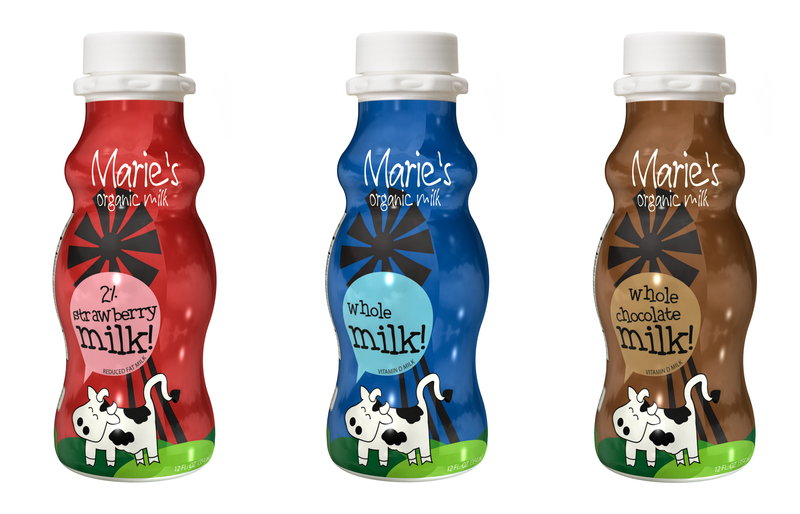 Changing the milk is a great start to make changes in our school system’s lunch lines. Jamie Oliver says, “With flavored milk, kids are getting loads of sugar and other food additives they simply don’t need to grow and learn. In the Food Revolution the little battles set us up for the next win. All these little battles count; they matter. It’s not just milk. It’s caring about what we feed kids 180 days a [academic] year.” If you want to learn more about Jamie Oliver and his Food Revolution check his website and Food Revolution Facebook page. You can also catch the Food Revolution on ABC on Friday evenings at 9 p.m. (8 p.m. Central). You can even catch the last episode of Jamie Oliver’s Food Revolution (if you missed it) on the ABC site. If you’re interested to see if your school district is making changes check out Jamie’s handy-dandy Milk Map. If your school district isn’t on there and should be, c ontact the Food Revolution. If you’d like more information on my source check out this release from the Food Revolution which includes a milk fact sheet and sweetened milk calculator. Hopefully it will MOO-ve you to action in your area! Summer is the President of our Local MOMS Club chapter, she is the mother of two adorable active boys, and is always thinking of ways to help others. She is a friend, a wife, and always busy as all mommies are. She is very active on Facebook, addicted to Geocaching and very interested in organic and green living while cooking up a storm.